Anyway, the point of this post is that it's almost time to buy another pair of fun shoes! I'll show you guys the ones I'm considering, and you say which ones you like the best. There are 10 pairs, so a LOT of choices. But they're all so fun! Which are/is your favorite? I can't decide! Those are some funky shoes. I like swatches and fingerpainting. And I couldn't see your black light picture. They gotta have green in them, RIGHT? 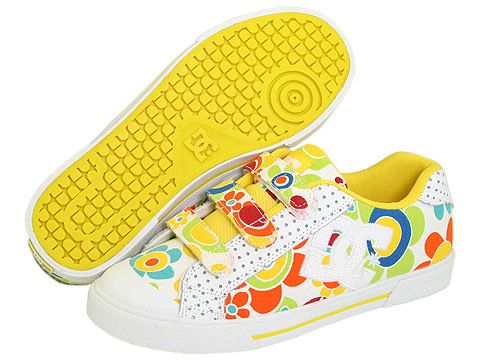 I think my favorites are Schworlz and Lime Flair, because I dig the DC shoes most. But the simple green Converse would also make a dang bold statement, which is what you tend to do whenever you walk in a room. I like the DC's. They all look cool to me. Maybe you should do "innie minnie minie moe" to chose. Betty, I like the way you think.